Long story short – we liked it so much, it has replaced our Mark II as our in-house camera. 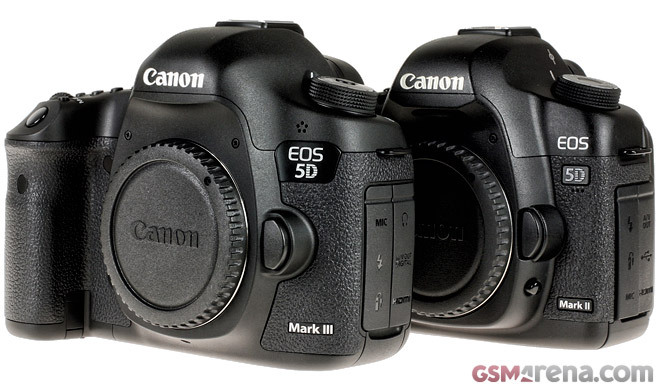 The Canon 5D Mark III is not exactly revolutionary and in no way is it “resolutionary”, but there are numerous small improvements and fixes which made the upgrade a no-brainer. Join us as we take a look at whats new. The SD card slot might not sound like something the pros will want, but in our case it’s essential. It will allow us to use an Eye-Fi card in the SD slot, which will automatically transfer the pictures wirelessly to the office network. No need to run around with cards or card readers. Believe it or not, the +-2 limitation of the Mark II wasn’t always enough and it was annoying to switch to manual mode just because of this. These might come in handy for field professionals, but they are a minor annoyance for us in the studio. May be a good thing when covering events, though. You can customize almost every button on the Mark III, which is a very nice thing to have. For instance, you can have the main dial (which usually changes shutter speed) change the ISO setting. To best take a look at the differences, we did a quick shootout here. Indeed, the new Mark III is better in high ISO, while in base ISO the performance it’s a about the same as with the Mark II. You might see some other differences in our test, but they are because of the different JPG processing parameters. We couldn’t fine tune the both cameras to sharpen the images in exactly the same manner, because the Picture Style parameters behave in a slightly different way. This wasn’t possible on the Mark II and it’s really an essential feature. While we don’t use this in the studio, it’s absolutely great for events where you never know what might reveal itself for a quick shot. The new 63 zone metering and 61 point AF system will be a life saver for sport and wild life photographers, but even in studio work we found them very useful. The lowest possible resolution with Canon 5D Mark II was 5.2MP, now with the Mark III it is 2.5MP (not counting the useless 0.3MP setting). This is great when you need a quick shot under lower resolution which you can transfer when bandwidth is limited, such as on a slow mobile connection. We did a quick test and it is indeed a great tool for dealing with very contrasty scenes (say a phone with a bright screen in a dark room – a typical case in some press events). The HDR processing works great even without a tripod and produces natural looking images. The new display is 0.2” inch bigger and has 100,000 more pixels. While this doesn’t sound like much, but the 3:2 aspect ratio matches that of still image snaps, and works pretty well for displaying video as well. This is a marked improvement over the 4:3 ratio on our old Mark II. Quick zooming is probably the single most frequently used function we use, since zooming in to the pixel level of a given display is the quickest way to tell whether you’re in focus. Being able to now do it without having to hold the button down is a definite improvement and while this is not a default option, it’s easy to set. You can resize high-resolution images in the camera for easy transfer. Combined with the Eye-Fi support, this is quite useful. We just finished testing the audio, and we can safely say that the new Canon Mark III records better quality audio with an external microphone, although only marginally so. This wasn’t possible on Mark II. Now you can set the aperture and shutter speed and the camera will maintain the correct exposure while you adjust only the ISO. By using two different compression options, the Canon 5D Mark III allows you to have better quality or smaller file size depending upon your requirements. We could use more options in this regard. Olympus gives the user a lot more flexibility here. We are getting 720p @ 60fps, but both the file sizes and the processing times are the same as in 1080p mode, while only the quality is lower. We are really puzzled why the Canon is missing such important feature, as it would have made our lives much easier. For example, there is no way to get the histogram shown over the image. If you want image details and histogram now, you get a ridiculously tiny thumbnail. Upgrading from the Mark II was not a decision that we came to lightly, especially if you factor in the price to pay for the amount of new features you get. As many of our readers undoubtedly know, sometimes you just have to have the newest tech around. Practice what you preach.